SEMA offers its 6,900-plus member companies a variety of business tools and resources to help their businesses succeed and prosper. Whether you are a manufacturer, retailer, jobber, distributor, rep or installer, SEMA is here to help you make smarter business decisions; be more strategic and targeted with your promotions; save money through group purchases; and network with key businesses and leaders in the industry. For the latest details on association benefits and upcoming activities, visit www.sema.org/benefits. 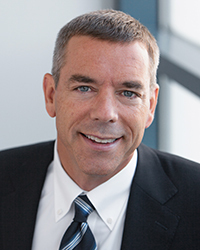 SEMA research indicates that the U.S. aftermarket for advanced driver assistance systems (ADAS) and connected vehicle technologies (CVT), although still in its infancy, can be expected to grow into a $1.5 billion industry within the next five years. With so much at stake in these rapidly emerging technologies, SEMA has made identifying ADAS/CVT opportunities for association members a key priority. While identifying multiple growth opportunities for the specialty-equipment industry, the recently released “SEMA Advanced Vehicle Technology Opportunities Report” (see p. 172) also introduces readers to a range of emerging technologies. To better understand active versus passive advanced driver-assistance systems (ADAS)—and why the latter holds the most aftermarket promise—SEMA News turned to SEMA Vice President of Vehicle Technology John Waraniak. At a recent SEMA Town Hall meeting held at the K&N facility in Riverside, California, an attendee asked what SEMA is doing to help build the next generation of enthusiasts and to get young people interested in automotive careers. It’s a question that takes time to answer, because SEMA has long been working on a variety of programs and initiatives to enhance youth engagement and highlight career paths open to students. The past six months have been action-packed for Mike Braun, who is competing in a closely contested May 8 primary to be Indiana’s Republican candidate for U.S. Senate in 2018. While the days on the campaign trail can be long and arduous, that is nothing new for Braun, who knows what it’s like to put in the time needed to start and grow a business. California OHV Recreation: A bill was introduced to eliminate the requirement that $833,000 collected from off-highway vehicle (OHV) taxes and fees be transferred to the state’s general fund rather than being deposited into the Off-Highway Vehicle Fund. The legislation is currently in the Assembly Transportation Committee. Porsche 911 Turbo: The car retains turbocharged engines under the rear trunk, powering either the “regular” Turbo or the Turbo S.
’19 Fiat 500X: Expect new bumpers and lamp units front and rear, and a new eight-speed automatic may replace the troublesome nine-speed. Kia Sorento Diesel Mule: The Sorento should be powered by the same 2.2L turbodiesel four-cylinder found in the recently debuted Hyundai Santa Fe. Industry news from SEMA-member companies, including Crower Cams, Advanced Clutch Technology, Falken Tires, VP Racing Fuels Inc., and Race Winning Brands. The following candidates are vying for seats on the SEMA Board of Directors. In any given year, scores of legislative and regulatory issues arise that may impact the automotive aftermarket and SEMA-member businesses. Staying up-to-date on everything happening in Washington, D.C., and in state governments can be a challenge. The SEMA Government Affairs team is dedicated to advocating on behalf of the industry and monitoring legislation and regulations. 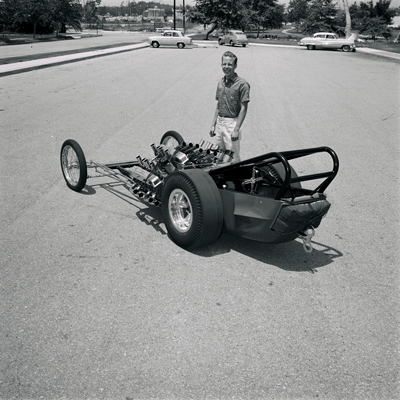 It’s May 1960, and “TV” Tommy Ivo is about to leave his Burbank home for a months-long national match-race tour, taking with him his new twin-engine dragster and, as crew, a teenaged fellow Road Kings car club member named Don Prudhomme.